When we lived in Japan, I used to hate all that talk about “gaman” (perseverance) and being part of a group. It all seemed so shallow—making people conform and giving them a sense of what they were supposed to do without making them think too hard about it. This was why kindergarten moms were willing to spend endless hours making school bags and perfect bentos. At least that’s what I thought then. Now, I’m not so sure. After watching how folks all over Japan have responded to the events of the past week or so, the strongest sense I have is one of respect and pride for how my Japanese friends and neighbors have chosen to support each other and to work together to rebuild. People in the quake and tsunami zones have started to rebuild. Folks in less affected cities continue to work without panicking despite grave fears about nuclear fall out. Heroes are emerging everywhere. 2) Yell, “Turn off the gas!” and turn it off if it hasn’t been turned off already. 3) Seek shelter under a sturdy object. 4) Go to your evacuation spot. 5) Begin rebuilding your town three days later. Along with so many of my friends and colleagues, I have been dumbfounded by the extent of this tragedy that has befallen this place I hold so dear. I cannot even begin to express the mixture of feelings and thoughts I have had since things began to unfold. I can say that I feel extremely blessed that immediate family and friends have managed to escape harm, but more than anything, I feel a great sense of pride to be able to call Japan my second home. 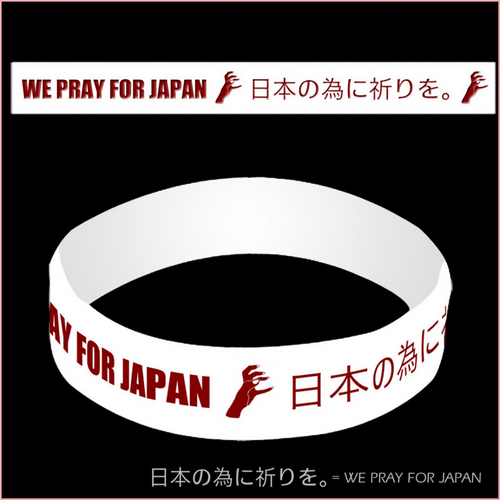 Apparently all proceeds will go to quake/tsunami victims. Good to read how the Japanese attitude toward hardship and adversity actually makes a difference in these situations. I've been here all my life, and as a child I heartily believed in "gaman", even though I wasn't Japanese in terms of where I was born and who my parents were. After I went to the States, a lot of feelings changed, becoming more impatient and self-sentered, in one way. So coming back to Japan was very difficult. But now that I'm going through this awful experience, for the first time I realize just how much the "gaman" of life here is actually helping. It makes for a very dignified and calm way of dealing with things beyond your control. I've learned something from it. I've put together a website to help people get vital information here so they can survive or find loved ones or make it through in one piece. I've linked to this article. Please take a look! Disaster Japan. "Shikatta ga nai" ("there's nothing to be done") is another widespread concept that works especially well at a time like this. The idea that some things are out of our control and that we have no choice but to move forward anyway is particularly useful--so much more so than the American pillars of "self-entitlement" and "fairness." 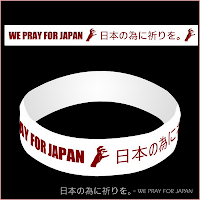 Oh, and I posted your website to FB so my friends in Japan can pass on the news. Thanks for putting it together. This is a beautiful tribute to the country you hold so dear.